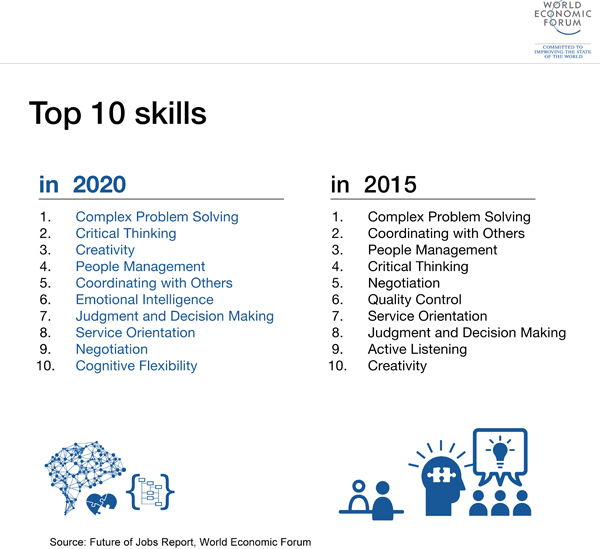 Click here to see the top skills by 2020 as per The World Economic Forum’s ‘The Future of Jobs Report’. We are happy to bring you experiential programs to build these critical skills, delivered on your Company premises. Click on the boxes to see the program details. How do we customize programs for you? Employees firstly need to know what’s in it for them – Training that will make their work easier, faster and better. Relevancy is the number-one driver today behind the learner’s motivation. People are happy to carve out time for building skills if they believe the effort will help enhance their job performance and accelerate their career development. We all learn differently. Some look for detailed instructions; others learn best in a hands-on environment. Some absorb knowledge with repetition; others grasp concepts quickly and easily become bored. In addition, we try for the training to be aligned with the skill level of the learner, even within the same batch. Individual attention is a non negotiable for us! The ability to deploy/practice the skill and confirm and test knowledge immediately thereafter enhances the experience and helps employees retain the information/skill better. When a trainee has questions, whom do they contact? For us, it’s important to keep an open up channels to help employees jump over any learning hurdles in their path, even after the program delivery. We believe that employees will continue to look for opportunities to grow and develop – if we build curiosity and a visible path to meet the challenges that lead to growth! Time, energy and capital spent on training are tangibles for many companies. Up-skilling results is something every company wants. To ensure that the training is successful, it’s important to look at deliverables through the lens of the internal customers. Just as employees arrange their workstations in a way that works best for them, we customize training based on your organizational inputs and interviews with the internal stakeholders!